Georgia is a right to work state, which means that there are no official union jurisdictions. Labor is chosen from various resources to handle decorating and freight handling. All hanging signs are required to be built and hung by the general contractors rigging crews. Exhibitors are allowed to set up their own displays and use tools, without regard to time limitations. Exhibitors may also bring items into the halls, either by hand, or by dolly or wheeled cart. 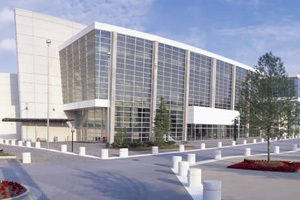 Electrical and plumbing is handled in-house at the Georgia World Congress Center (GWCC). Most power comes from the floor at the GWCC, but ceiling drops can be ordered, mainly for high power situations. Electricians must plug cords into boxes, but the labor contractor or the exhibitor may run them thereafter, including lights, AV, power strips, etc. 12 gauge cords are required, either flat or round. Straight time in Atlanta is from 8:00 am – 4:30 pm M-F except holidays, with lunch from 12-12:30 pm. Breaks are from 10:00 am -10:15 am, and 2:30-2:45PM. For more information on trade show exhibit installation and dismantle services in Atlanta, please call us at 1-866-685-8950 or fill out the form below to have a team member contact you.